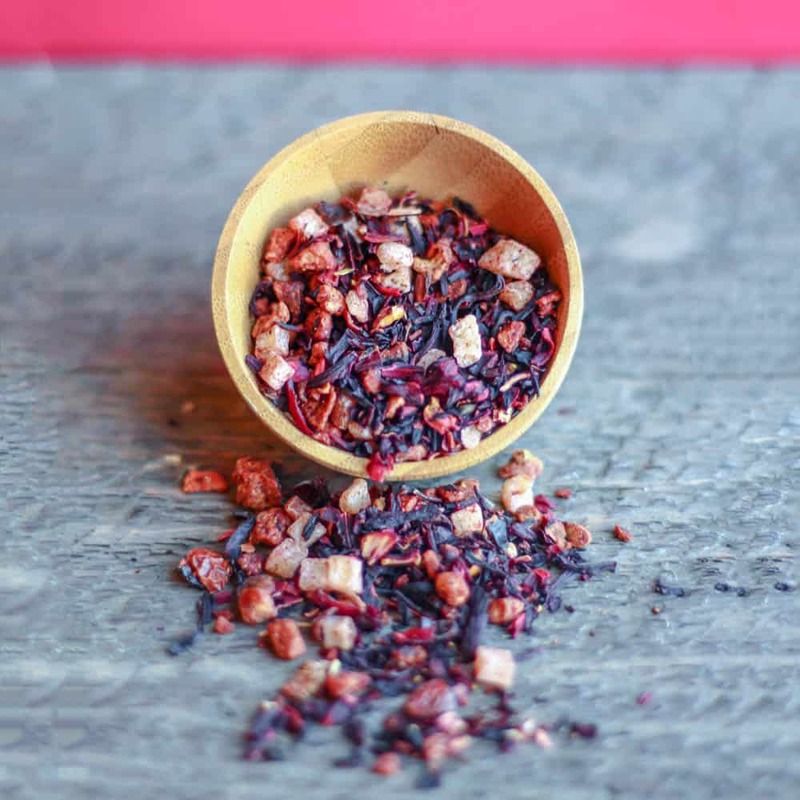 A mouthwatering herbal blend that you won’t be able to get enough of! Blended with pineapple, guava, strawberry, hibiscus, rosehips & apples, this juicy and tart blend will be your new favorite! Pineapple cubes, hibiscus, apple, rose hips, guava flakes, pineapple flakes, flavoring, freeze-dried guava crunch (guava puree concentrate, apple puree concentrate, apple juice concentrate) freeze-dried strawberries.